Seasonal Position. The daily functions of this position consist of but are not limited to engaging and educating middle school summer campers about various health & wellness topics with the use of demonstrations and hands-on activities in an informal setting. 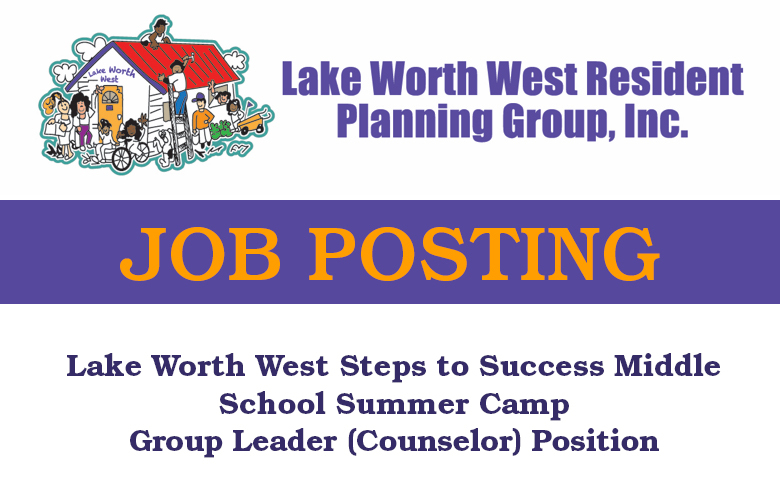 This position requires individuals who are comfortable communicating to middle school youth in grades 6 – 8 and delivering health and wellness curriculum in an informal setting. Qualified applicants will demonstrate enthusiasm and a willingness to learn. The Group Leaders will be expected to follow the curriculum provided and demonstrate proficiency in communicating health & wellness concepts to young audiences. Applicants should be good communicators, have the ability to complete tasks with minimal supervision, and demonstrate excellent customer service skills. Responsible for delivering Health & Wellness Summer Camp curriculum and engaging the campers in hands-on activities and demonstrations. Responsible for supervising campers to and from daily activities, ensuring that all campers are accounted for at ALL times. Responsible for overseeing assigned counselors and volunteers each week. Responsible for implementing safety rules and compliance to the camp behavior policy. Able to apply appropriate policies/procedures, enforce safety regulations, and respond quickly to critical incidents and emergencies. Demonstrates commitment to Lake Worth West’s vision, mission and values. Candidates will have to pass a background check and be able to sign an Affidavit of Good Moral Character. Must have experience working with children middle school. Experience in an informal or formal teaching environment is preferred. Candidate should accept, respect and be responsive to diversity. Applicants should demonstrate enthusiasm for working with children, and commit to Monday-Friday for the duration of the camp season (June 11, 2018 – August 10, 2018). First Aid certification is desirable. Must be able to stand for extended periods. These positions require outdoor walking during the summer months, so employees will be exposed to the summer heat and humidity throughout the course of the day. 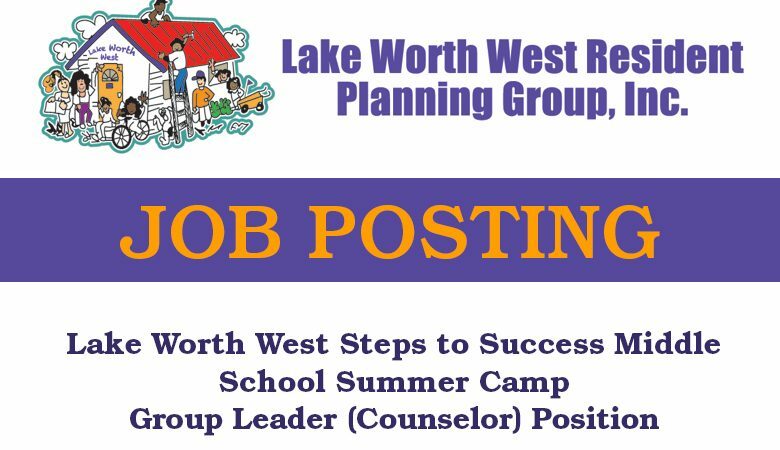 Please complete the application by clicking on the link below and send it to rrogers@lakeworthwest.org. No Phone Calls.